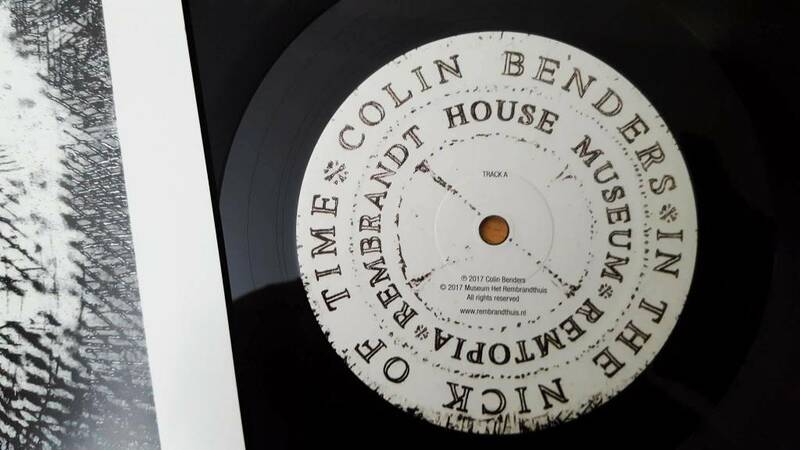 During the 2017 Amsterdam Dance Event, musician Colin Benders and graphic artists took up residence in the Rembrandt House Museum for a unique production. 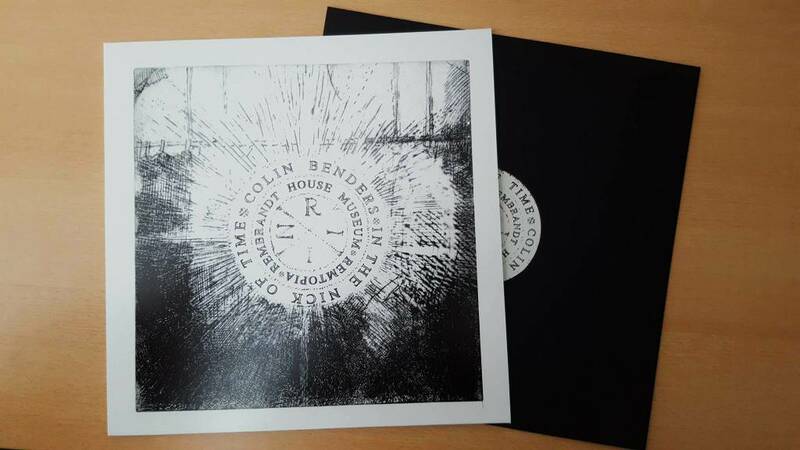 In a single evening in Rembrandt’s workshop, Colin recorded two tracks for a 12” record on his modular synthesizer. A graphic designer updated one of Rembrandt’s etchings for the sleeve and the printed label. This design was transformed into an etching plate and the record sleeves were printed off on the antique press in Rembrandt’s etching studio. The edition is limited to 300 and the records will go on sale on 30 November in the museum, the webshop and exclusively at the Mary Go Wild shop on the Zeedijk in Amsterdam. A detail from Rembrandt’s etching A Scholar in a Study (Faust) from around 1650-54 was used for the design. An old man looks up from his work. A bright radiant disc with mysterious writing in it appears in front of his study window. The letters INRI in the centre of the circle of light stand for ‘Iesus Nazarenus Rex Iudaeorum’ (Jesus of Nazareth, King of the Jews). These are the words on the paper that Pontius Pilate had nailed to Christ’s cross. The other letters form an anagram: from back to front you can read the words of a prayer. These letters have now been replaced by the title of Colin Benders’ musical production In The Nick Of Time. The Aga Lab made an etching plate from this new design using the Toyobo technique; the exposure of a digital file on a photosensitive etching ground. This etching plate was used to print record sleeves in Rembrandt’s old etching studio. They were then scanned in high resolution and offset printed on to the final record sleeve.